Metra offers factory calibrations for vibration sensors, vibration meters and measuring chains consisting of a sensor and a signal conditioner. These can be Metra products or equipment of other manufacturers. 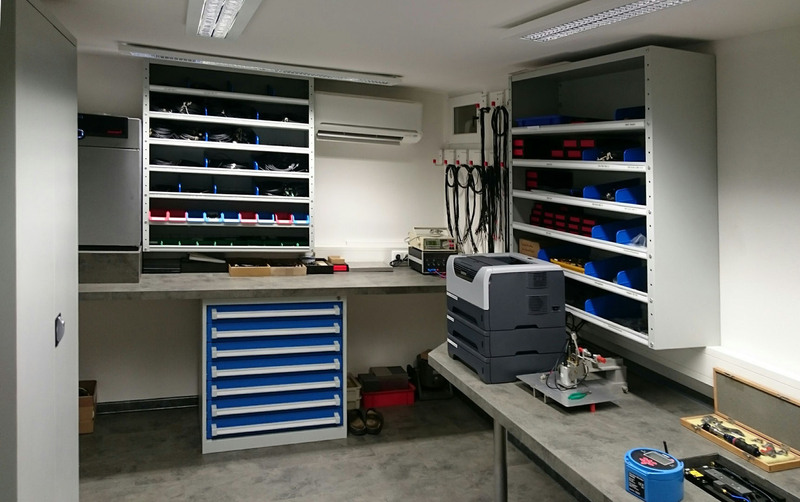 Factory calibration includes the generation of a calibration certificate showing the measuring results and traceability of the used reference standards. 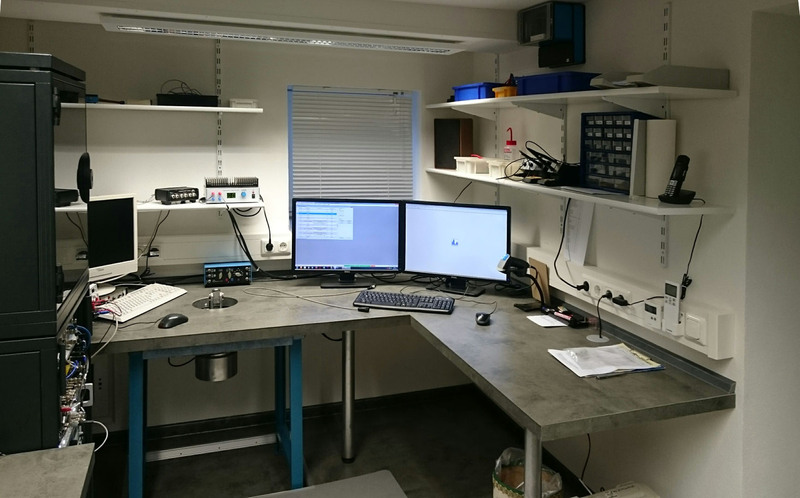 Metra uses transfer standards calibrated at Physikalisch-Technische Bundesanstalt and external DAkkS labs (formerly DKD). 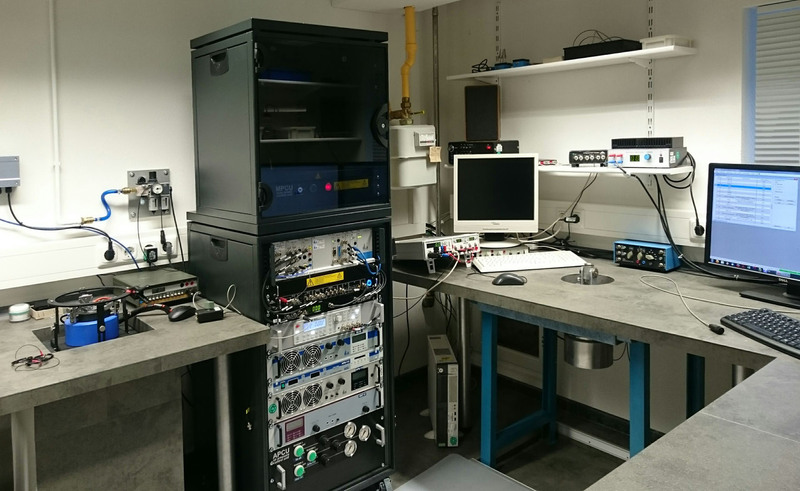 The frequency range of our calibration equipment extends from 0.2 Hz to 20 kHz. Please note also our web page Accuracy and Calibration. For inquiries please use our contact form. 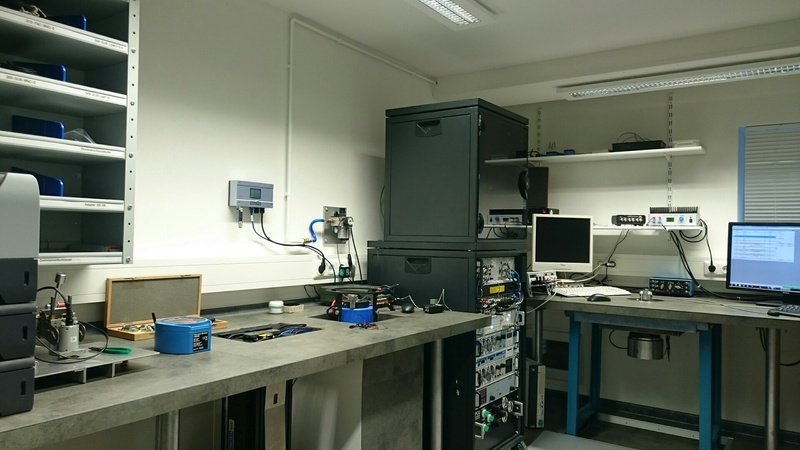 The picture shows our calibration lab. On the left you see a long-stroke shaker for low frequencies. Further right is a shaker for medium and high frequencies with air bearing. In the center you see the vibration control system and on the right side an air-bearing shaker for medium frequencies and heavier loads. Please click for further pictures.